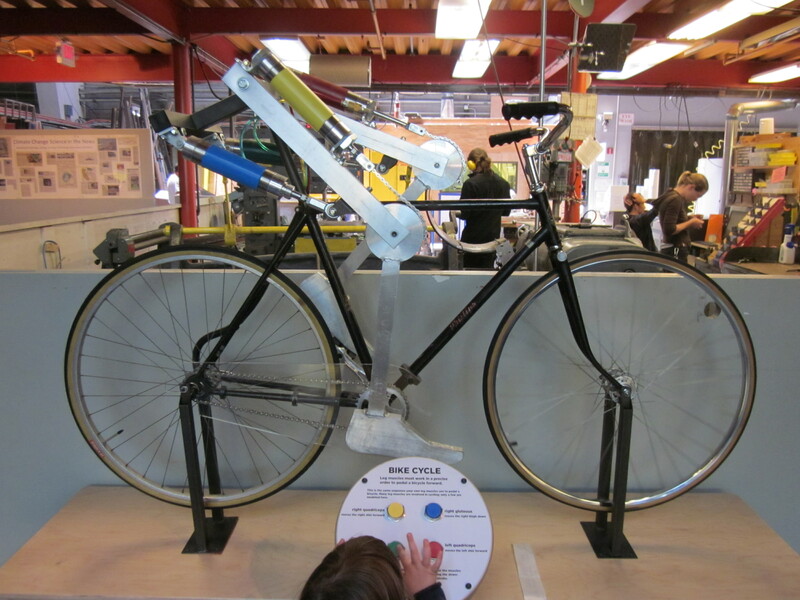 The Exploratorium offers a chance to make a robot ride a bike. Why not people? Something I hear more often than I expected is other bike riders saying they’re not really advocates for cycling. They claim that their advocacy is just to be out riding. I totally support people riding bikes, but it surprises me that so many people don’t want to advocate for cycling. The reasons people for not advocating for something they love strike me as not much different that the reasons people give for driving instead of riding their bikes. It’s not that it’s particularly hard to do either, although of course it’s easier to do the same things that we’ve always done. Weekend leisure riders who drive a car to work every day are definitely making a contribution by making riding bicycles look normal, and everyday bike commuters who avoid advocacy are doing the same, but I’ve always felt that if it’s something I love–and I do love riding my bicycle–why would I stop there? It would take too much time, I don’t have the right bike, there are no showers at my office, there are hills, I drive a Prius instead. It would take too much time, I don’t know what to say, I don’t know what I’m doing, it’s too hard, I ride my bike a lot instead. 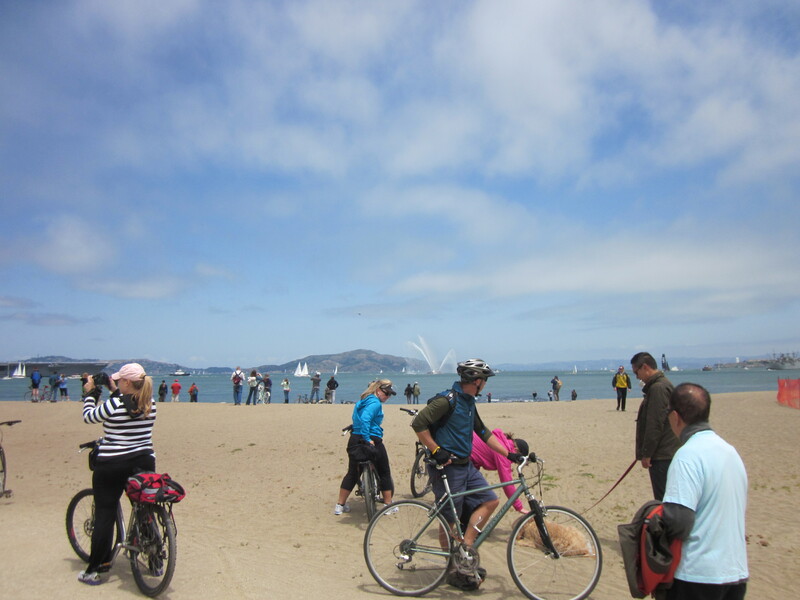 Car-free Presidio: more like this, please. Are they reasons or are they excuses? I’m not sure I’m one to judge, but I’m trying to do more. I figure that if I have the time to write a tweet I have the time to request a bike rack using the city’s online request form (my link is San Francisc0-specific, but Google pops up similar links for dozens of cities). If I have the time to write an email, let alone a blog post, I have the time to write a letter to the mayor and the head of Muni supporting the proposed separated Fell-Oak bike lanes. If I have the money to buy a new bike bell (or a new bike, cough cough), I have enough money to join the San Francisco Bicycle Coalition and contribute to occasional fundraising drives. If I have the time to ask questions at the bike shop about my bike, I have the time to ask my credit union whether they could start making loans to get other people on bikes. So I do all of these things, and occasionally things change for the better, and evidently this makes me an advocate. I am not in the league of A Simple Six, who is writing city bike plans and organizing community meetings and meeting with city officials one-on-one, or Family Ride and Tiny Helmets, who are starring in the local films and television news (and how cool is all of that? ), but I once attended a hearing. Just like riding, I’m figuring it out as I go along. And although it’s not the same, I think that in its own way it’s just as rewarding as riding a bike.